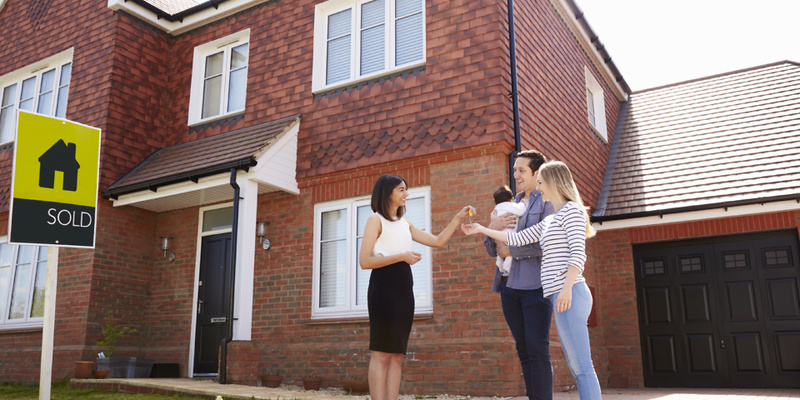 The government has today launched a consultation into banning unfair leasehold practices, including the sale of new-build houses as leaseholds and punitive ground rent clauses. Leaseholds account for 4 million homes in the UK – but recent scandals have emerged in this sector, with developer Taylor Wimpey setting aside £130 million to compensate buyers of new-build leasehold homes. In an 8-week consultation launched yesterday, the government has proposed outlawing a number of these unfair practices. Here, we explain the government’s proposed bans and how leasehold clauses can rip-off buyers. Traditionally, leasehold properties are flats, which have shared communal spaces such as entrance halls. In the last few years, however, major developers have also sold new-build houses as leaseholds. Indeed, 1.2 million of the UK’s 4 million leasehold properties are now houses. Buyers of leasehold homes pay an annual service charge to maintain common areas, and a ground rent – a traditional (and often nominal) charge to ‘rent’ the land the property sits on. The government has proposed outlawing the sale of new-build houses as leaseholds – and here’s why. Some leasehold new-build homes include a clause that sees their ground rent charges double every decade. This means a ground rent that costs a nominal £250 a year now could in theory cost £8m after 150 years. Over coming decades, owners may find the property they bought is essentially worthless, as few buyers will want to accept the spiralling costs. Doubling ground rent clauses are often buried within contracts – with lenders, advisers and conveyancers in some cases only coming across them after the contracts have already been signed. So far, the developer Taylor Wimpey has set aside £130m to compensate leasehold buyers caught out by such clauses. Nationwide has also become the first high street lender to refuse to grant mortgages on leasehold homes with unfair ground rent terms. What does the government intend to do? The government wants to ban new-build leasehold houses and block unfair ground rent clauses. Under the proposals, ground rents would be reduced to zero, or to a transparent figure that relates to the actual cost incurred by the freeholder. Leasehold new-build houses would be banned, except for in ‘exceptional circumstances’. How long should you have left on your lease? The government will also look to change the rules on how developers can use the Help to Buy equity loan scheme, so it can only be used on houses with ‘acceptable terms’. The proposal would also see the government close legal loopholes that leave some leaseholders vulnerable to possession orders. In addition to the ground rent issue, there have been reported cases of developers selling freeholds on to investment companies without telling the affected leaseholders. While this is technically legal, in some cases leaseholders have then been quoted punitive prices to buy the freehold at a later date. The government has not yet outlined any proposals to reform this area but buyers of leasehold properties should be aware of the potential for their freehold to be sold on. If you’re looking to buy a leasehold property, or have bought one in the last few years and are concerned about your arrangements, you can contact the Leasehold Advisory Service – a government-backed body which offers free initial advice via telephone. We’re also interested in hearing from you if you’ve faced any of the issues described in this article. You can contact us on money-letters@which.co.uk, or via our Facebook or Twitter pages.